But as Ken mentioned : Did you really doubt the MOT ? Algarve: You posted that link to that site earlier. Very brave to take on such a challenge. On the other hand : Your van was a challenge too. I was concerned that David would have wanted to see front indicators and that the new brakes might not be even(They were very good!). It was a very wet day and one new wiper blade is useless (Can I fit new style blades to old wiper arms? ).He said he must have had his eyes closed when he looked at it . It sat on the ramps, he asked where was a good place to lift it up but didn't. 80kph on the way back...briefly . The wipers for the traction fit too. The wipers for a series landrover are exeactly the same but you should swap over the hinge part. See the article i wrote about that in the technical section of this forum. I tried to find it but there is an error in the site. At least from this side....or is the brexit already in action. Cheers Fer! So I can keep the arms. Luckily the drivers side blade is OK at the moment. Please don't mention the 'B' word though...it's all too much for some of us over here . The great bit about Speedometer driven wipers is the way they slow right down and stop when at junctions,you then have to disengage the drive and operate manually whilst changing gear...different times... .
That is why they made the centrifugal clutch so at the stop you have time to the operate the wipers. 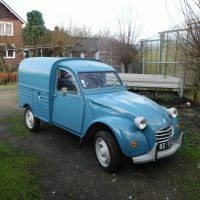 You might try to just switch the rubber from the LR to the 2cv one. Trico made 2cv wipers also. p.s. Just found that this sort of wipers is also sold for boats. So an other possible source for them. Thanks for the options Fer . No sign of sealant on the lid or the top of the box, No sign of any Flamin' oil in there either, which is a shame. Drums are seized to the shoes so am going to immerse in a plastic box of Red Diesel for 2 weeks, likewise with the engine. I should have done this right at the start . 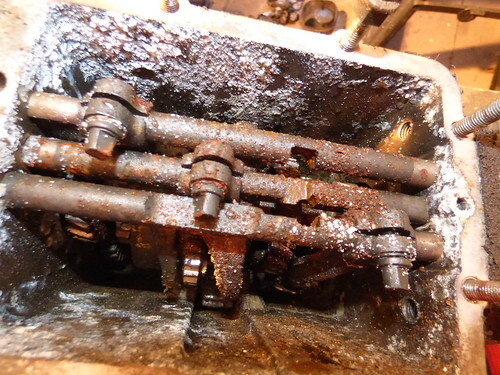 You may be lucky with the bottom bearings as they are normally run immersed in oil. So there may still be oil around them despite the water in much the same way as the crank. 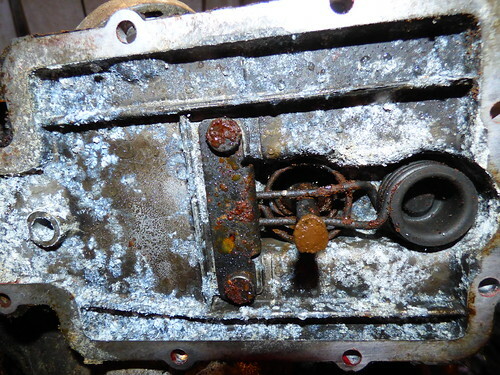 I suspect that even if there was a reasonable amount of oil in the bottom of the gearbox, the parts not immersed in oil would still have suffered considerably. 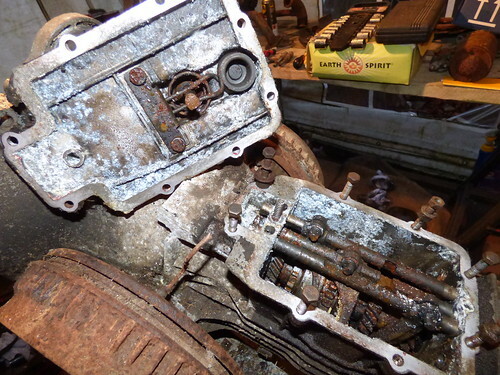 Last year I opened an 5hp gearbox that had been in an garden for several years with no oil. But all gears came out well, the rust just brushed off.